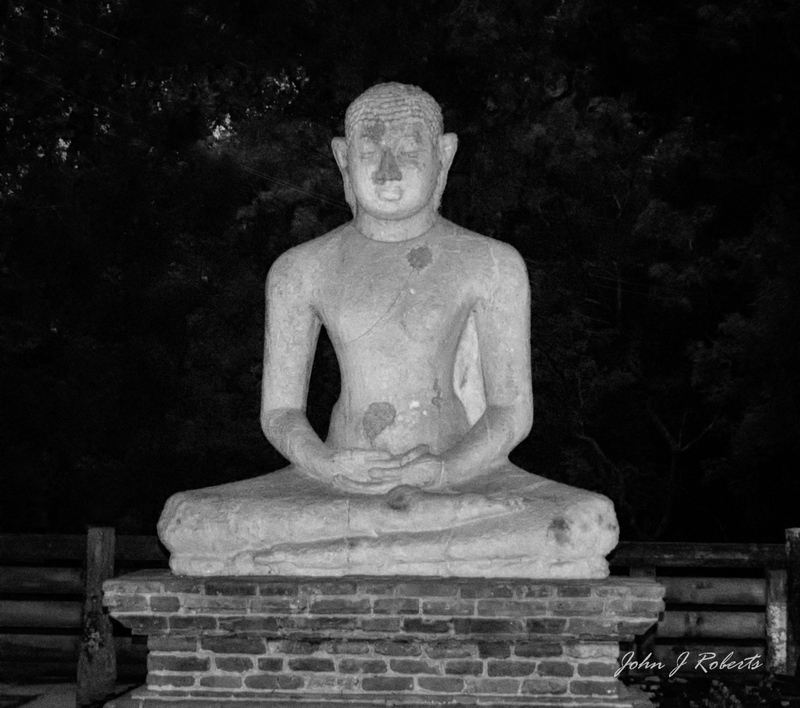 The Samadhi Buddha is a statue situated at Mahamevnāwa Park in Anuradhapura, Sri Lanka. The Buddha is depicted in the position of the Dhyana Mudra, the posture of meditation associated with his first Enlightenment, also called Nirvana. In the Dhyana Mudra the Buddha sits cross – legged with his upturned palms placed one over the other on his lap. This position is universally known throughout the Buddhist world, and this statue is therefore one of the most typical pieces of Buddhist sculpture. This statue is 8 feet in height and carved from granite. Nelson Mandela kept a well worn photo of the Samadhi Buddha in his prison cell and his meditations on it are credited by some who knew him with tempering the fiery spirit of his early years before imprisonment.. I just returned from three weeks in Sri Lanka. We visited this site. I loved the country. This photo’ tugs on the emotions, on many levels. … Absolutely exquisite!